Organizers of the Women's March on Washington say that musician Harry Belafonte and writer Gloria Steinem will both participate as honorary co-chairs. WASHINGTON — A massive rally planned in the District for the day after the presidential inauguration is getting a boost from a couple well-known activists. The group Planned Parenthood has partnered with the event to provide resources and help with promotion. “The Women’s March on Washington aims to send a message to all levels of government that we stand together in solidarity and we expect elected leaders to act to protect the rights of women, their families and their communities,” organizers say on the event’s website. 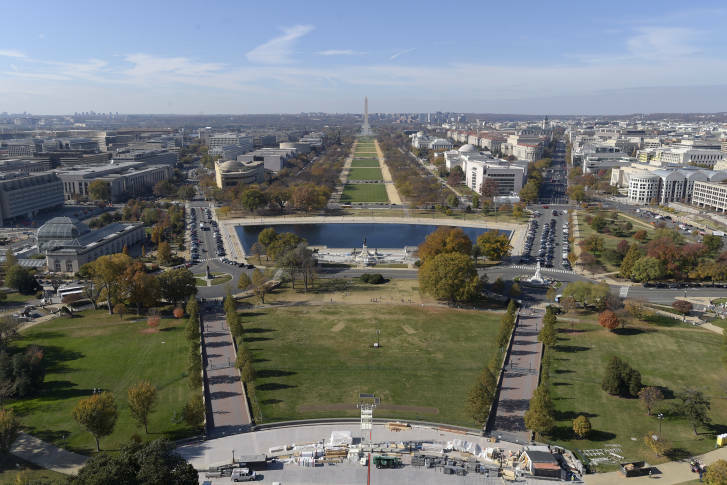 People are expected to gather for the march starting at 10 a.m. Jan. 21 near the U.S. Capitol, at Independence Avenue and Third Street. “The planning process will be ongoing until days before the march, and we will continue to work closely with the National Park Service, Metropolitan Police Department, Homeland Security, Capitol Police, and other agencies to ensure a safe march with all logistics in place to accommodate the number of people we anticipate convening,” organizers say. Although it is not clear how many people will show up at the rally, there are indications the crowds will be very large. Hotels in and around D.C. have been filling up with visitors who plan to attend. “There’s a lot of momentum in regards to groups of individuals that are coming to the region and staying in hotels,” said Elliott Ferguson, president and CEO with the tourism group Destination DC. On the Women’s March on Washington Facebook page, more than 150,000 people say they plan to be at the event. More than 240,000 others say they are interested in attending.